Gardening in the sun comes easy to me. In the shade? Not so much. 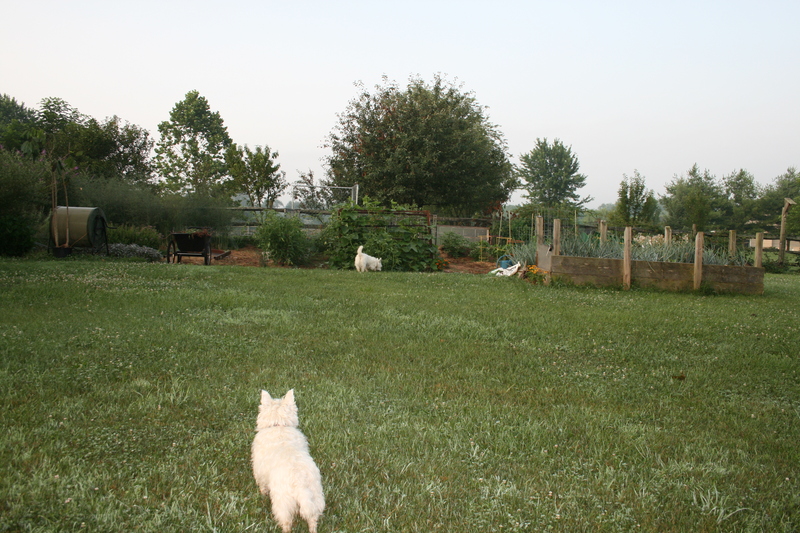 Sunny days make organic gardening easy. That’s why I was really glad to see Garden Rant publish a WONDERFUL article by Susan Harris, who is one of my favorite garden writers, that is packed with ideas for filling in the shady spots in your landscape, literally. I have found some these plants, like Comfrey, on my own but, if I’m being honest, accidentally! So, here, in one place, courtesy of Garden Rant, is a really solid list of plants to help fill in the blanks in the shady bits of your yard, garden, landscape. Comfrey feeds your soil and attracts pollinators. BTW, Comfrey is a real find for any gardener. Nancy Bubel, author of The Seed Starter’s Handbook and my heroine of seed-saving fame, wrote a beautiful article about the joys and uses of comfrey way back in 1974 for Mother Earth News…and it is as information packed today as it was 42 years ago. This article was originally published as “Comfrey for the Homestead” in the May/June 1974 issue of MOTHER EARTH NEWS. At that time, comfrey had not yet been declared potentially poisonous to humans and animals and this article contained information about using comfrey as a vegetable, in tea and as livestock fodder; none of these applications are advisable, according to FDA and FTC recommendations. 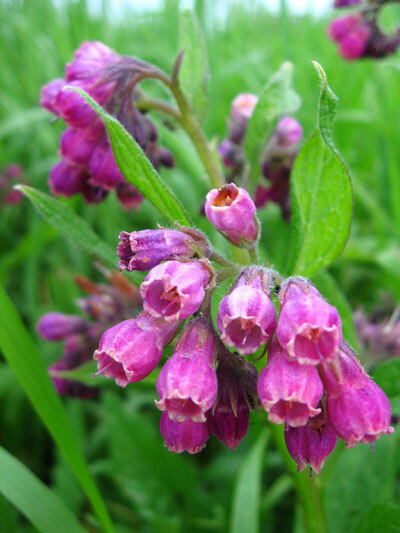 Comfrey contains at least 8 pyrrolizidine alkaloids, which can build up in the liver to cause permanent damage and sometimes death. Because of this, comfrey preparations are not sold for oral or internal use in the United States, the United Kingdom, Australia, Canada or Germany. I planted my Comfrey before I knew any of this….but I use it only for improving soil, speeding up composting and attracting tons of pollinators. Gardening inspiration comes in all shapes and sizes but here’s one I hadn’t thought of…a community garden. I know they are big in England and there are some here in the United States but I’ve never seen one, visited one or lived near one. 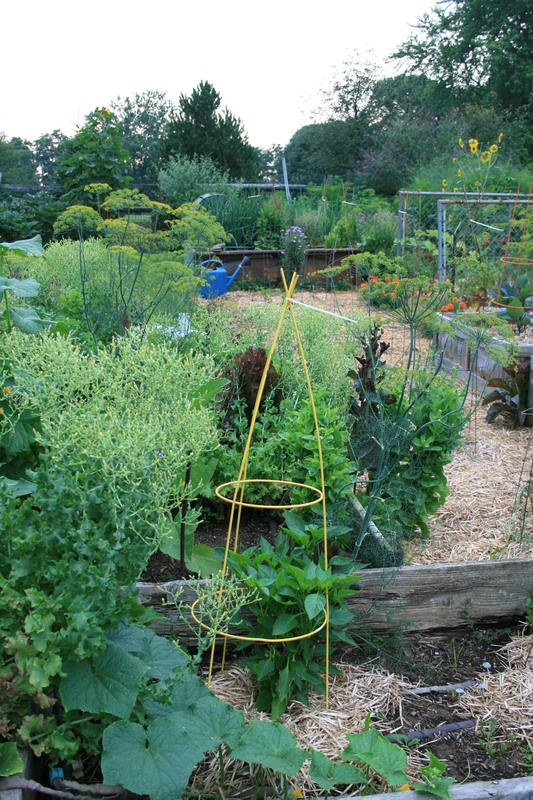 Blogger Chrystal’s post on the Strathcona Community Garden shows how peaceful and beautiful these places can be. Located in Vancouver, British Columbia, this verdant community garden opened my eyes to the joys of so-called “city farming” — places to grow food and friendships. Do you participate in a community garden? Live near one? Please share your thoughts on this growing trend of shared space and shared gardens..
Saturday Night at the Strathcona Community Garden | kalegrower.